When LG launched its G6 and follow up with the Q6, both packing an 18:9 FullVision display, it likely wanted to start a revolution in smartphones - and Huawei may be about to help out. 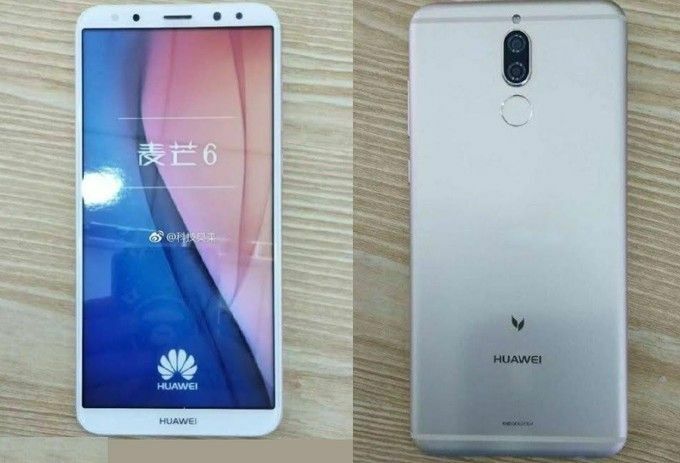 A new Huawei G10 phone with 18:9 display has leaked online in clear photos. The Huawei G10 will allegedly be launched on 22 September in China. According to Weibo we can expect it to come with a 5.9-inch Full HD 18:9 ratio display. But that won’t be its own special trick. The G10 will also apparently come with four cameras, two on the rear and two on the front. The dual rear cameras should help to add depth and quality to photos while the dual front-facing snapper could do the same, or perhaps even help to offer a more accurate facial recognition unlocking. The Huawei G10 is also rumoured to feature a Kirin 659 processor, 4GB of RAM and 64GB of storage onboard. The phone is expected to come loaded with Android 7.1 Nougat and EMUI 5.1 skinned over the top of that. There should also be a 3340mAh battery and a rear-mounted fingerprint sensor. While the Huawei G10 is expected to get announced on 22 September in China, it’s not certain if the phone will reach our shores - well have to wait and find out.